Luks Marbella ladies were treated to a double dose of fashion & glamour last week – their day started with a Brunch with the Diamonds – A champagne & sweet delicatessen filled private viewing of some of the most glitzy and original jewellery in Marbella at Roger M Boutique in La Cañada. Roger himself selected the most sparkling of his pieces for each of the VIP ladies, considering everything from their style to their personality and outfits on the day. Diamonds and saphires, amongst others, were also complemented perfectly with some fur coats from Lourdes C boutique from Valladolid and Yamaia couture designs. After the brunch, our jetset ladies moved on to another beautiful setting to carry on enjoying each other´s company and making new contacts at their monthly Ladies Luncheon at the luxurious 6*Villa Padierna´s Club de Mar. This time they were also treated to Fashionshow a trio of those luscious furs, couture dresses and exquisite jewellery collection from Roger M. The event was also supported by the popular Russian glossy magazine Mesto Vstrechi.The surprise twist of the show that got endless ovation from the audience, was that the models were some of the most loved and recognizable faces from the Russian socialite scene that did it for the fun and love of fashion – Mila Kremleva of IHomes, Masha Malka of Moscow Deli, Marina Robertson of Marbella Wine Warehouse, Ekaterina Skornik of ExitoTeam and Olga Kharitonova of Royal Tennis Club. The event also served as the first filming session for Luks Marbella´s yet another enterprise – Luks Marbella TV – the coast´s first dedicated Russian speaking program that will be focused on local entertainment and social updates.Luks Marbella ladies shall meet again on 26th of July, this time in a fusion with Costa Women – integrating the international cultures in a Red Carpet style evening soiree at the Royal Tennis Club (https://www.facebook.com/events/652139171479052/) Luks Marbella is a social and networking club for Russian speakers on the Costa del Sol. 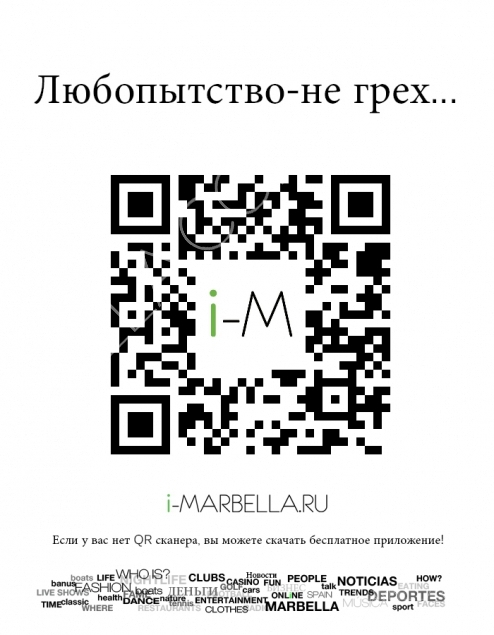 For all information and updates on Luks Marbella, join their Facebook page.